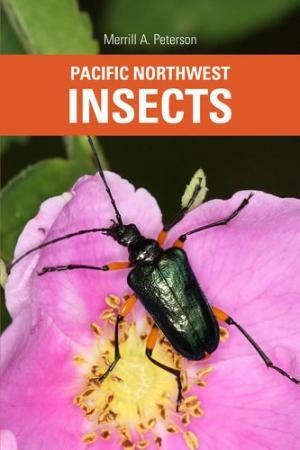 Western Washington University Professor of Biology Merrill A. Peterson will discuss his new book, "Pacific Northwest Insects," from 4-5 p.m. on Thursday, Feb. 21 in the Reading Room at Western Washington University Libraries. This event is free and open to the public, and is part of the Western Libraries Reading Series. For this field guide, Peterson traveled throughout the Pacific Northwest to photograph live insects. He hiked snowfields, waded through swamps, and crawled through fields and forests in pursuit of particular species. During this talk, he will speak about why he devoted more than 10,000 hours over the last decade to write and produce this book. Peterson began studying insects while growing up in Seattle, received his bachelor's degree in Zoology from the University of Washington, and his doctorate in Ecology and Evolutionary Biology from Cornell University. He is professor and chair of the Biology Department and also the Insect Collection Curator at Western, where he has taught various courses in entomology, ecology, and evolutionary biology since 1997. He has also authored numerous papers on insect ecology, evolution, and diversity, and oversaw the development of the Pacific Northwest Moths website. His natural history photographs have been published in the New York Times, the International Herald Tribune, Butterflies of Cascadia, Life Histories of Cascadia Butterflies, and many other places. This special talk is offered as part of the Western Libraries Reading Series, which is dedicated to showcasing the scholarly and creative work of faculty and staff who are engaged in research, writing, and teaching at Western. For more information about this event, please contact Abby Koehler at abby.koehler@wwu.edu or (360) 650-3342.